Now, I know this being made into a movie is great and a PHENOMENAL thing, but ( and not the be the downer on things) I see a small problem. Once it's a movie, the actors and maybe even the director will get ALL the credit. The people who have never heard of this book (which can't be to many, considering the number of people I know and blabber to all the time) won't even know you are the author. The master mind behind all this wonderful plot line and imagination. Seriously, I just see the down side. It's small, plus, I'm not sure you see a problem with it. Just pointing it out. I Think Your Right ^^. People should understand that Cassandra Clare did write the phenomenal books! But at the same time when twilight became a movie a lot of more people did read the book after the movie. I think you should just think of it more as publicity for the book, so a lot more people can read the book. YESYESYES. She's going to be amazing as Clary, but the question still lingers... WHAT ABOUT MAGNUS? I have to admit, I've seen the Blind Side, she didn't have that big of a part in it. I haven't seen what she can do acting wise, so I'm a bit skeptical, but I'm sure she's great. She certainly looks the part in these two pictures. I'm super excited for this. This will probably never get read, but anyways Eugene Simon would be great for Jace. He is believable to be Clary (Lily Collins) sister, yet not like a twin. I write books that are similar in genre (unpublished... as of yet) and know that every day i think who the actors/actresses would be in the movies of my books. YESSSS! Shannon kook chun would be perfect for magnus i never thought of him before lol. Wow, she definetly must be Clary. And i think Jace Wayland can be Alex Pettyfer cuz he has blonde hair and he's as charming as Jace. I love'em both! check this out! I told you, he should be JACE! I guess she's pretty good. Im just wondering, how short is she? And did the casting director/director inquire to Alex Pettyfer's agent about his role in this movie as Jace? Lily Collins is PERFECT for Clary. PLEASSEEEEEEE make Alex Pettifer Jace.. He would be absolutely perfect. He's hot and he fits the Jace description. Just watch the trailer for the coming movie Beastly. He's sassy, hot, and blonde. That's cool ^_^ I think she could be a great Clary. 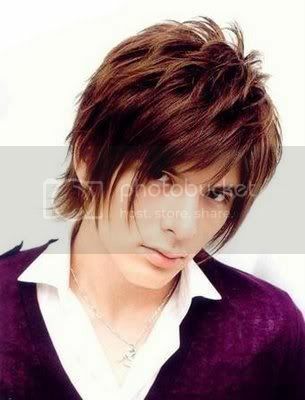 ..and..on an only slightly random note..
Shirota Yuu as Magnus Bane - anyone! ?